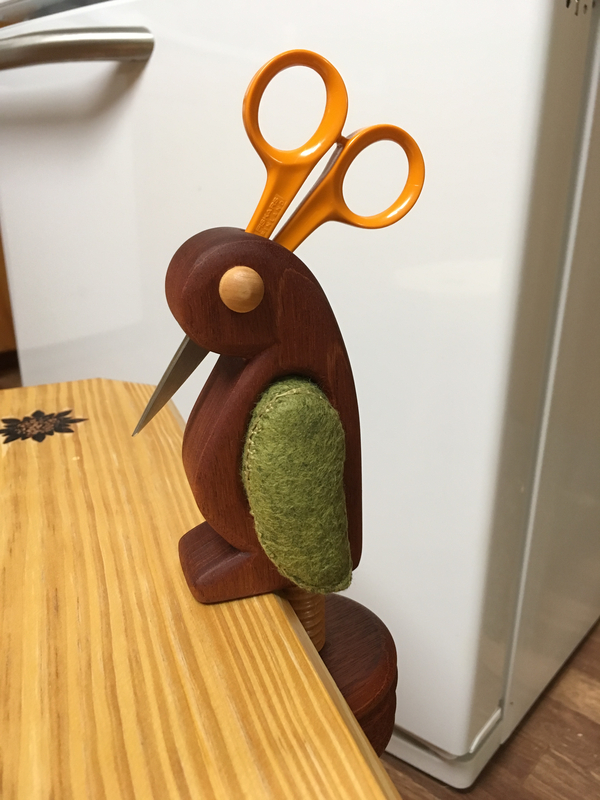 This is just a quick show-and-tell on a little clamp-on pincushion and scissors holder that I made as a Christmas gift. 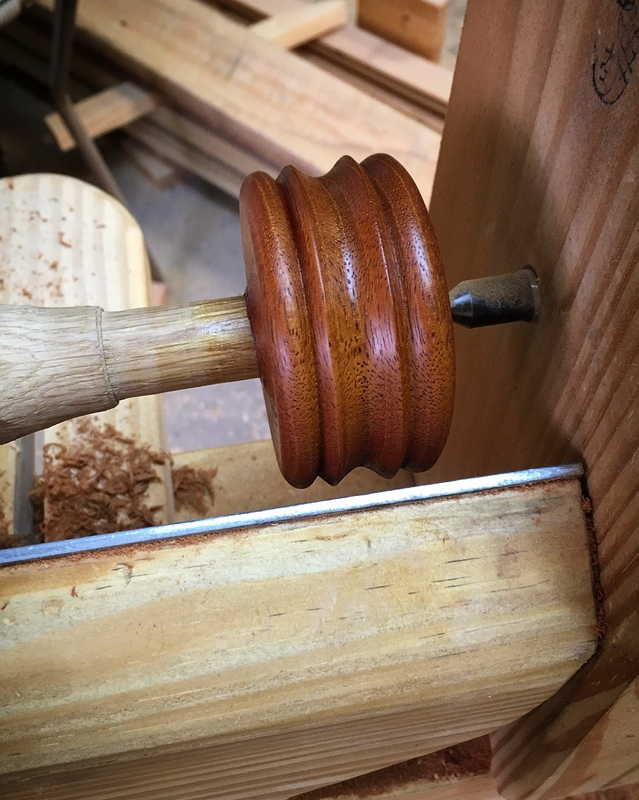 The body is mahogany from the Magic Attic stash and the threaded shaft is maple. The pincushion is from felt and hand-sewn by yours truly. 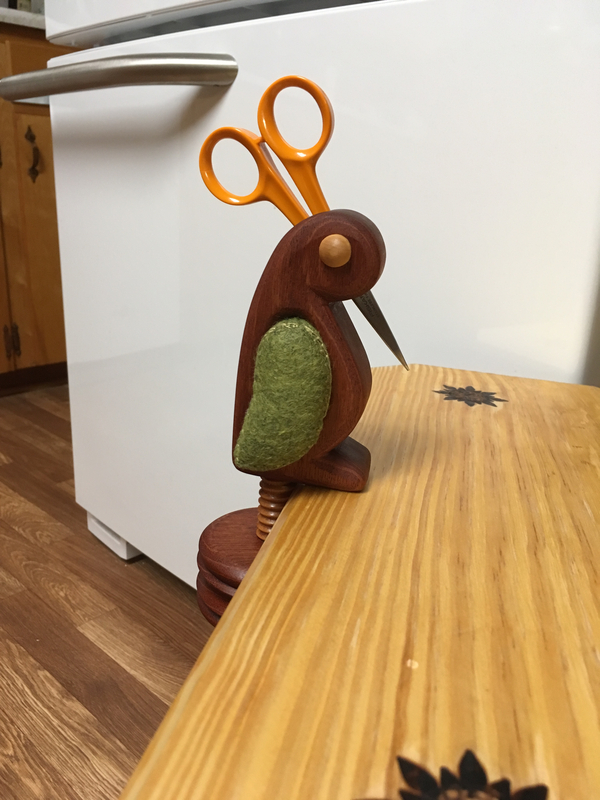 This entry was posted in Clamp-On Pincushions and tagged pincushion, scissor holder, sewing, Sewing Caddy. Bookmark the permalink. That’s very clever Greg. Now that’s what I call Arts and Crafts. Thank you Salko. I enjoy making things like this. It is a nice change of pace from furniture. Most people would be very happy to have such an attractive device! 🙂 …, but I didn’t see any safety police in that video. 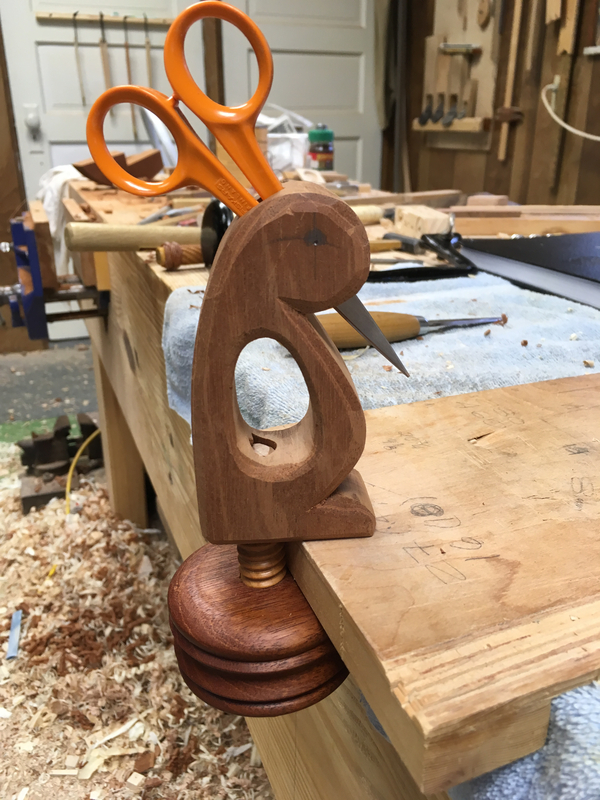 Projects like this are a good way to reduce the offcut pile and most people seem to like them.